The malware is designed for targeted cyber-surveillance and includes hacking abilities which have never been seen before outside of controlled research settings. 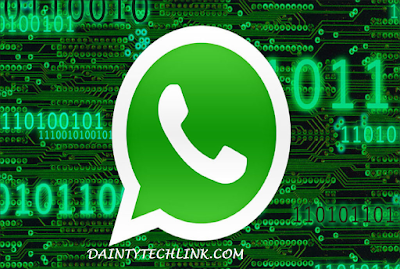 It is capable of turning infected smartphones into recording devices based on their location they are in and can steal WhatsApp messages when they are unencrypted on the devices themselves. Discovered by researchers from Kaspersky Lab, the surveillance software has been active since 2014 and has been named "Skygofree" after one of the domains used by the malware. Kaspersky Lab explained that the malware has nothing to do with Sky or the Sky Go product, service or app. It allows the attacker to take pictures and videos, seize call records and access the phone's geolocation capabilities to track the victim. Details found in the code of the spyware suggested it was developed by Negg International, an Italian cyber security company. Speaking to Sky News, Kaspersky's principal security researcher Vincente Diaz said that it was not clear from this whether Negg developed the software themselves or if the malicious software had been modified to falsely implicate them. Negg does advertise itself as providing cyber tools for legitimate investigators, but did not talk about the software - which could be developed and operated within the law - when contacted by Sky News. Its CEO Francesco Taccone told Sky News the company had no comment. There is no suggestion that the company does not operate within the law and a report in Forbes suggested that law enforcement were a large part of Negg's customer base. Similar mobile spyware is on the rise, according to Kaspersky Lab's researchers. It's "better business to infect a mobile device than a computer" Mr Diaz told Sky News. "I think that we're reaching the tipping point where we'll discover a lot of spying malware for mobie devices," he added. Where attackers may have been lacking the expertise to develop these hacking tools historically, "everything is changing very quickly" he added. "The next wave of malware for state-sponsored attackers and companies will definitely be developed for mobile devices," Mr Diaz said.